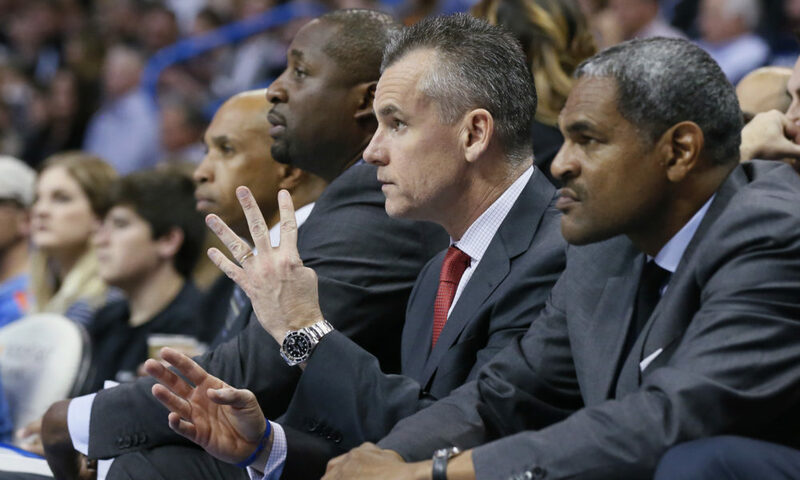 OKLAHOMA CITY — The Oklahoma City Thunder’s fall from grace has been a sight to see. Following a thrilling double-overtime victory on February 22nd against the Utah Jazz, the Thunder were the the talk of the league. 38-20 and winners of 12 of their last 14 games. With the Jazz win, Oklahoma City had a near stranglehold on the third seed in the Western Conference. 33 days later, the Thunder find themselves sitting in the eighth seed with no one but themselves to blame. What happened? For starters, George did injure his shoulder. After missing the next three games (OKC went 1-2), George returned in body but not in the MVP-supernova form he enjoyed prior to the injury. But the main culprit? Fouls. Where once the Thunder were a great defensive juggernaut, they have since replaced that with a cornucopia of fouls. 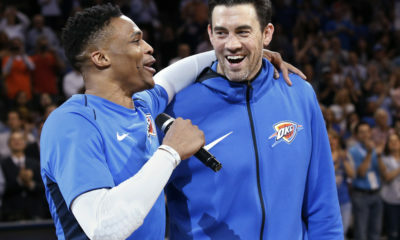 Is this the price the Thunder have paid for leaning on an aggressive defense that prides itself on forcing turnovers, gambling through passing lanes and fighting hard through screens? For perspective, let us go back in time. In a Thunder win in Portland on March 7th, Oklahoma City committed 31 fouls and sent the Trailblazers (the 2nd best free throw shooting team in the league) to the line 47 times. the Thunder were spared a loss thanks to timely shooting and Josuf Nurkić’s late-game ejection. In Los Angeles Paul George fouled out against the Clippers with 3:49 to play in a tight ball game. To make matters worse, Russell Westbrook fouled out with under a minute left. To add insult to injury, Steven Adams picked up his sixth foul in the closing seconds. A few nights later, the Thunder held an 18-point lead in the second half against the Indiana Pacers. Then a sloppy third quarter foul-fest led to a late season-defining meltdown. Oklahoma City committed 10 fouls in the third quarter leading to 14 Indiana free throws. The lead evaporated and the Thunder could never recover before losing on a late go-ahead put back by Wesley Matthews. 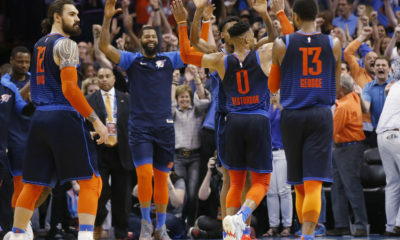 After the Thunder managed to crawl back from an 18-point deficit to force overtime, George fouled out prior to the extra period. Oklahoma City only scored 4 points in that overtime before losing to the Toronto Raptors. On Monday night, what loosely could be called the “Memphis Grizzlies” shot 31 free throws. That, along with a completely uninspired Thunder squad led to one of the worst losses of the season. Now Billy Donovan will say these fouls are not all the result of an aggressive, gambling defense. He’s right in that respect. Oklahoma City has had a tough time with unnecessary fouls — that third quarter in Indiana. When you start off a quarter with two quick fouls or you *cough* commit a foul in frustration following a drive to the basket *cough* it has the potential to bite you in the fourth quarter. The Thunder boast five names in the top 60 of player who commit the most fouls per game. 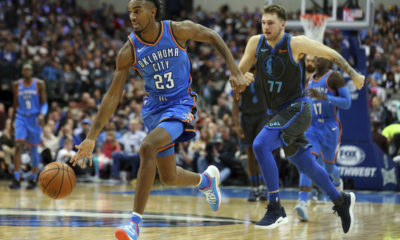 Terrance Ferguson ranks 19th in the NBA with 3.17 fouls per game. Newcomer Markieff Morris is right behind him at 22 with 3.12 fouls per game. Jerami Grant is 46th in the league with 2.72. Adams is the final name in the top 60. Things get worse when you remember Ferguson and Grant have both fouled out three times each this season. Even Paul George (35th in fouls with 2.84) has fouled out three different times as well. Again, Donovan is correct. But it is hard to undo what is a part of your overall identity makeup. The Thunder — specifically Ferguson, George and Grant, want, nay, need to fight through screens. They need to gamble on passing lanes. With 74 games under their belts, it has become apparent that OKC cannot rely on the three-ball or a half-court attack for prolonged stretches. They need to be aggressive and force the narratives of games in their favor with points off turnovers and fast break opportunities. This aggressive environment — which can lead to unnecessary fouls — the Thunder have cultivated has played a part in other losses not previously mentioned. 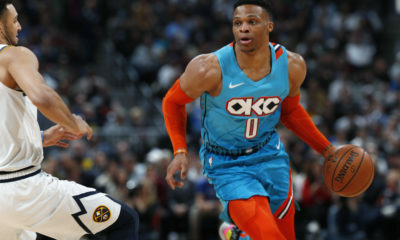 Following the February 26th loss at Denver, Donovan expressed how guys leaving their man to block shots late and fouling too much led to a late-game collapse. If you’ll remember, Donovan played Nerlens Noel over Adams in that second half comeback against the Nuggets. After helping OKC regain a three-point lead with defense heading into the fourth quarter, Noel fouled out with 3:21 in the game. Denver controlled from there. Sound familiar? These fouls have not been a symptom of slumping basketball. 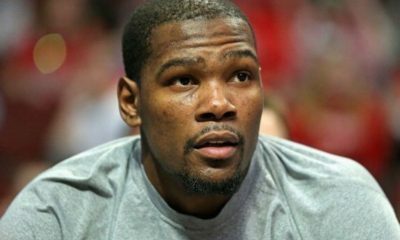 Rather they are the dark side of the dangerous game the Thunder have chosen to play this year. Oklahoma City leads the NBA in about every hustle defensive category. The numbers on deflections, steals, points off turnovers and fast break points speak for themselves. But with that fast-living mentality, the double-edged sword of aggression has helped lead to a season on the brink of collapse. While it is hard to completely disagree with Donovan’s take on downplaying OKC’s aggression as the root cause for all the fouls, the question continues. Can the Thunder get back to their defensive — for that matter winning — ways without giving their opponent multiple chances at free points? So far, they haven’t. Nor do they show any signs of correcting course. In their last 18 games, Oklahoma City is 6-12. The Thunder have the opportunity to flip the script one last time before the postseason with five straight home games. Time is running out.